Small devices have a need to connect to Cloud based servers to deliver data for compilation, processing and use from Web Based applications. 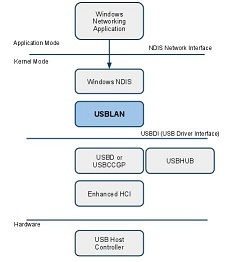 While more expensive devices may use WiFi (or Ethernet) to achieve this purpose, low end devices can use Networking over USB to accomplish this task at a lower cost by simply tethering the device to a desktop system. 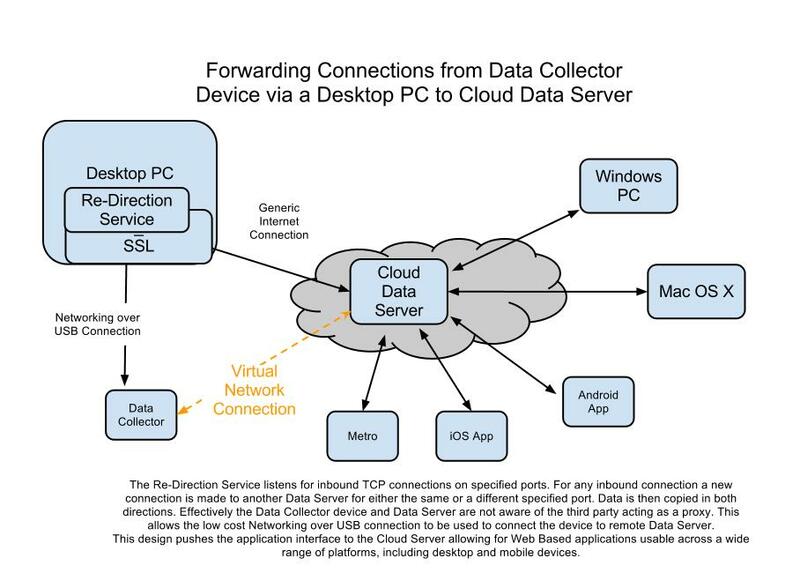 It is reasonably easy to create a network connection between the Data Collecting device and the Desktop, but none of the popular (Windows and Mac) desktop environments allow for easy setup of a Network Bridge between the device network and the Desktop Internet connection. 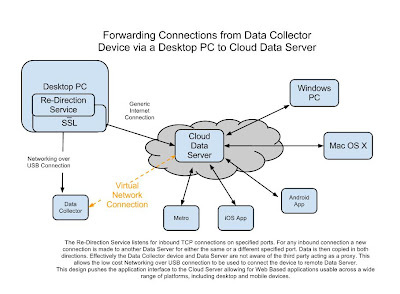 Belcarra’s Data Redirection Service solves this problem by providing a network service that waits for incoming network connections from the Data Collection device and then creates a second connection to the designated remote server. Data is then passed in both directions allowing for normal flow of data between the two ends. See also Using a data proxy for web access.